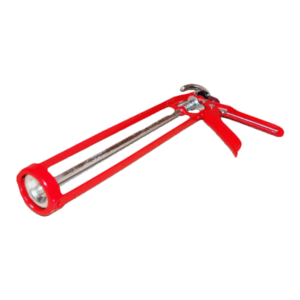 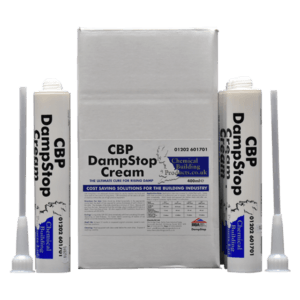 Chemical Injection Products | ChemBuild Ltd.
ChemBuild Ltd products have a range of products available for Chemical DPC installation. 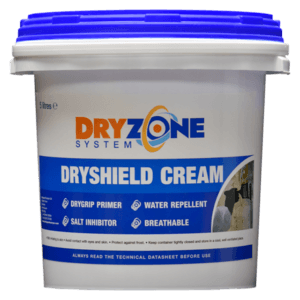 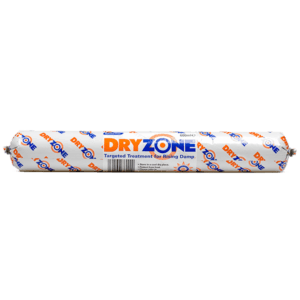 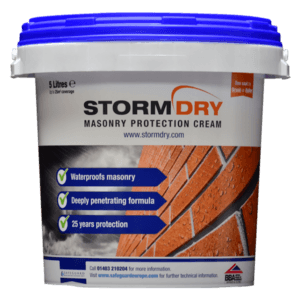 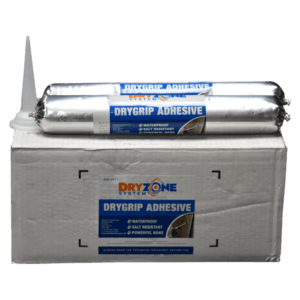 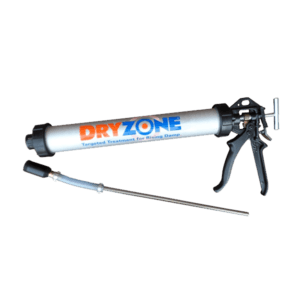 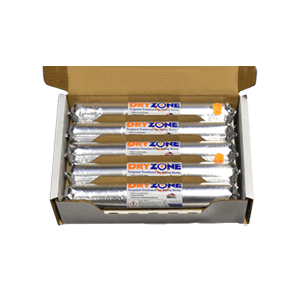 Dryzone is the most effective and easy to install cure for Rising Damp. 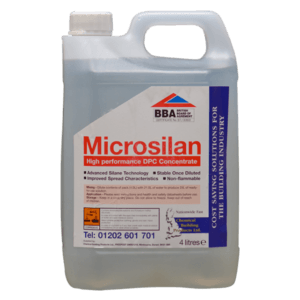 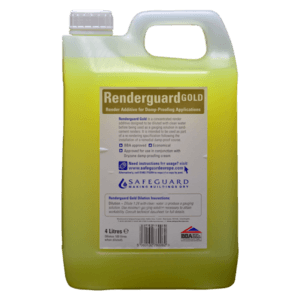 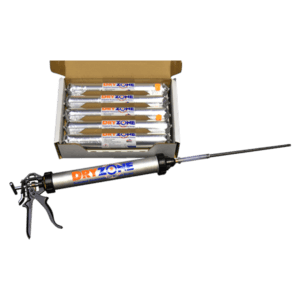 We can also supply conventional damp proofing products such as Hydracheck, Microsilan and Low Odour Injection Fluid. 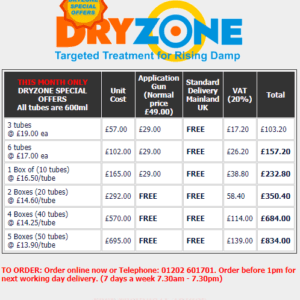 For more information please refer to Damp Proofing. 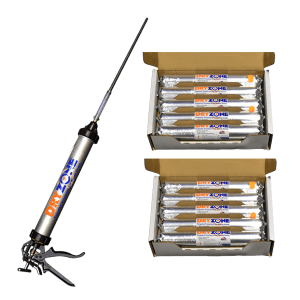 Our delivery is free for 2-3 working days.